Apple has confirmed it will fix a privacy issue in which Siri can read aloud hidden lock screen notifications from many apps on iPhones. In a statement provided to MacRumors, Apple said "we are aware of the issue and it will be addressed in an upcoming software update." It's quite possible the fix will be included in iOS 11.3, which remains in beta testing, but Apple may elect to address the problem with a minor update such as iOS 11.2.7. 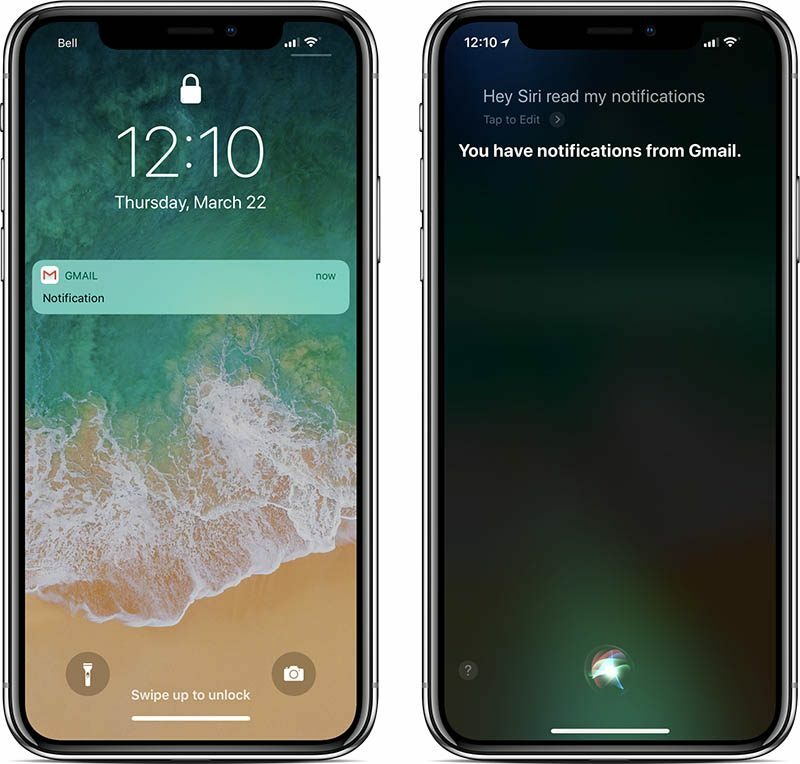 As reported by Brazilian website MacMagazine earlier this week, users can simply ask Siri to "read my notifications" and the assistant will read aloud the contents of notifications, including ones that are hidden, from a wide selection of apps. Siri's behavior becomes a privacy issue because it can read aloud messages and emails from third-party apps such as Facebook Messenger, WhatsApp, and Gmail, even if an iPhone is locked and notifications are hidden. This violates the trust of users who expect that their notifications cannot be read by others. MacRumors has reproduced this issue on an iPhone X running both iOS 11.2.6 and the latest iOS 11.3 beta, but we can confirm that it does not affect iMessage. However, the issue did partially affect Apple's stock Mail app, as Siri was able to read the subject line of an email we sent as part of our testing. MacRumors will update this article as soon as the software update with a fix is released. Oh, Siri. What started as the very first intelligent personal assistant, ended up a mildly retarded sidekick. I really hope iOS 12 is just iOS 11 without the ridiculous number of bugs. HOW did they miss this? Cmon!!!!!! And HOW did no one else catch this until now? This isn't an edge case... this is tablestakes!! "Fully disable Siri whenever the iPhone is locked." Better yet: Fully disable Siri, period. Amen to that! IOS has become a bloated (slow) operating system with a myriad of bugs. Apples needs to stop the garbage like the rush to release more and more emojis and focus of fixing the damn bugs! I am so disgusted with IOS11 bugs. IOS 10.3.3 worked well for me, it was finally relatively stable, but Apple’s Nazi incessant non-stop irritating upgrade messages that kept popping up for months on end (you can’t disable those messages) finally caught me off guard and I mistakenly clicked upgrade to IOS11. Now I completely regret that move to IOS11 and wish I could roll back to 10.3.3. But since I did an over-the-air upgrade, the Apple "geniuses" said sorry, you are totally out of luck, there is nothing we can do for you, you are stuck with IOS11 so get used to it. How did this even pass testing? This is a ridiculous oversight by Apple. Does anyone at Apple actually test these devices for real world usage? This feels like it’s amateur hour over there. Seriously, how wasn’t this on some checklist to test? You’re assuming they tested it. But we need more Animoji. The overly redundant And mildly exacerbated hating Siri comments are typical on here. I use Siri every single day through multiple Apple products and for dictation, and it works perfectly fine for me, with the exclusion of some minor discrepancies. And no, I don’t need to compare it to anything else with Alexa or Google, Siri works exactly how I intend it to and the above comments from others are overboard. If siri is silent, is it reading aloud the root password?